Grab an oar and get out on the water with a Kayaking & Canoeing adventure experience certificate. Varying from calm rivers to wilder rapids, choose your own level of adventure with our variety trips and tours. The perfect way to complete a family holiday, Tandem Kayaking & Canoeing certificates are also available for purchase. A relaxing half day of paddling in state of the art kayaks through the Canning River Regional Park, Perth. Great for beginners to ease their way into the art of kayaking and to escape back to nature. Paddle upstream with the state of the art open double kayaks which are both provided on the day and explore the local wildlife and fauna as you paddle through this hidden natural gem right among the suburbs. 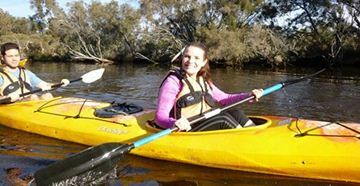 A relaxing half day of paddling in state of the art kayaks through the Canning River Regional Park, Perth. Great for beginners to ease their way into the art of kayaking and to escape back to nature. Paddle upstream with the state of the art open double kayaks which are both provided on the day.. 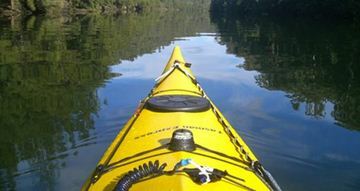 Explore the local wildlife and fauna as you paddle through this hidden natural gem right among the suburbs. 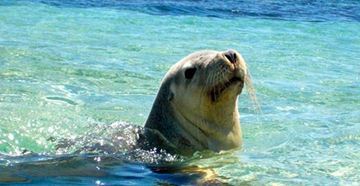 Explore Adelaide's own dolphin sanctuary and shipwreck heritage trail around Garden Island by kayak. We offer tours with small groups only to ensure you receive the very best on the tour. This half day trip is ideal for families and people who just want to relax and soak up the heritage this area has to offer. The lush forest of Grey Mangroves provides a haven for extensive bird and sea life. Discover paddling paradise on this half day kayaking experience for two people. Bundeena in southern Sydney, bordered by the Royal National Park, stunning stretches of un-crowded beaches, ocean bays and secluded river front picnic areas is the perfect base for a kayaking adventure! So jump aboard a double kayak and head out on a day of adventure. Be sure to pack a picnic lunch and your swimmers! Experience a exciting day out with this kayak tour, perfect for a special birthday gift or as a fun Mother's or Father's Day present. Paddle the pristine waterways of the Central Coast while enjoying oysters and wine and finish the day off by feeding pelicans by hand from your kayak! The perfect gift for anyone who loves to take in beautiful scenery and enjoys fresh cuisine. This tour departs from Woy Woy on the Central Coast. This outdoor adventure is the perfect gift idea for a birthday and is suitable for anyone, with beginners welcome.Experience kayaking and abseiling, with views over the spectacular Glenworth Valley. Package includes a 2 and a half hour guided Kayak tour including kayak, paddles and personal flotation device and a 2 and half hour Abseiling tour . This abseiling adventure takes place in Glenworth Valley, a scenic 1 hour drive from Sydney or Newcastle. 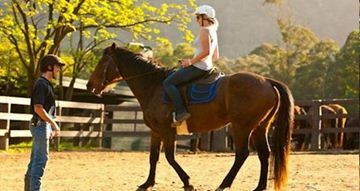 In this exciting outdoors experience you will enjoy the best of kayaking and horse riding. This adventure package is perfect for those who need a few hours in the outdoors. It makes for a perfect birthday present throughout the year. This abseiling adventure takes place in Glenworth Valley, a scenic 1 hour drive from Sydney or Newcastle. Experience two great adventures, Quad Biking and Kayaking, in a stunning location. No better gift for the adventure seeking individual. 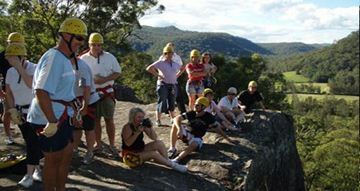 This abseiling adventure takes place in Glenworth Valley, a scenic 1 hour drive from Sydney or Newcastle.Perfect for birthdays, this adventure package can be used all year round and is ideal for an outdoor lover or anyone just needing to escape the city for a few hours. Experience a fantastic day on the water, with breathtaking scenery and amazing wildlife. Paddle to Seal Island and Penguin Island and enjoy a delicious picnic lunch. The rest of the day is at your own leisure - relax in the sun, snorkel, explore the island and discover many shellfish, starfish, crabs, sea birds and lizards. Transport is provided from Perth. Experience a fantastic day on the water, with breathtaking scenery and amazing wildlife. Kayak to Seal Island and Penguin Island and enjoy a delicious picnic lunch. The rest of the day is at your own leisure - relax in the sun, snorkel, explore the island and discover many shellfish, starfish, crabs, sea birds and lizards. Transport is provided from Perth.